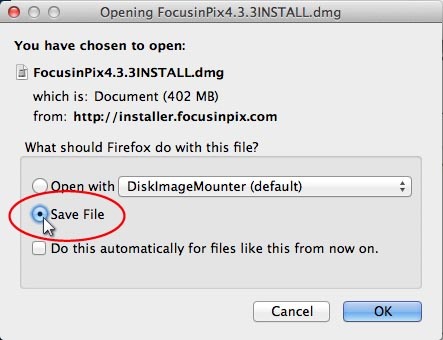 The below instructions detail how to install Focus in Pix using Safari browser. Click on the large blue Free Download button near the top of this page. Choose ‘Save File’ if prompted. Otherwise your file should begin downloading automatically in a few seconds. Depending on your connection speed, the download may take several minutes. Thanks for your patience! After a minute or so, a window will appear showing two folders. 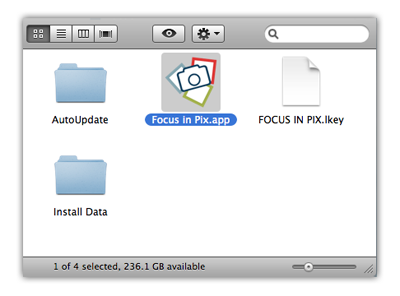 Within this window, drag the ‘Focus in Pix’ blue folder into the ‘Applications’ folder. 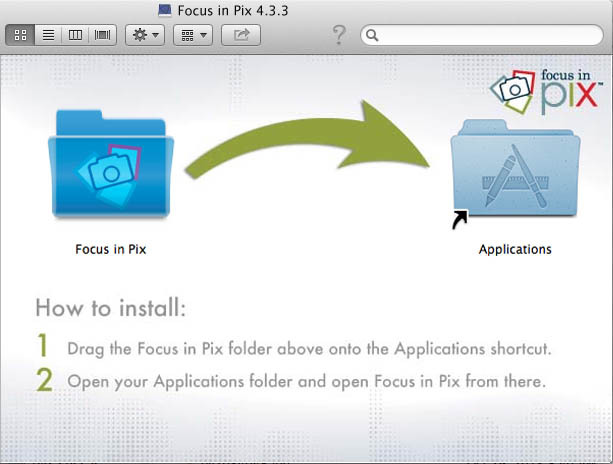 Because Focus in Pix is an application downloaded from the internet, you may receive a warning message about opening Focus in Pix. (You will only receive this message the first time you launch Focus in Pix.) Click ‘Open’ to launch Focus in Pix. 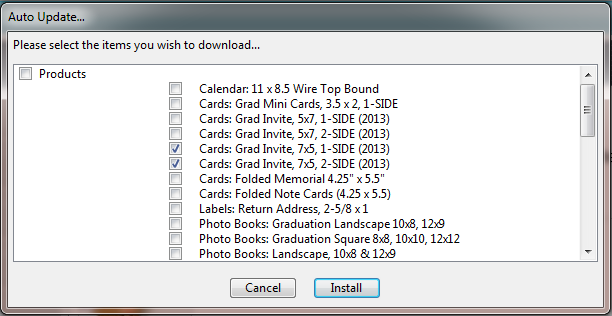 If the program does not prompt you for updates, check for them by clicking on the “Create a New Project” button. Then click the “Check for Updates” button in the lower left. We make changes to our projects on a regular basis, so check back often for updates! 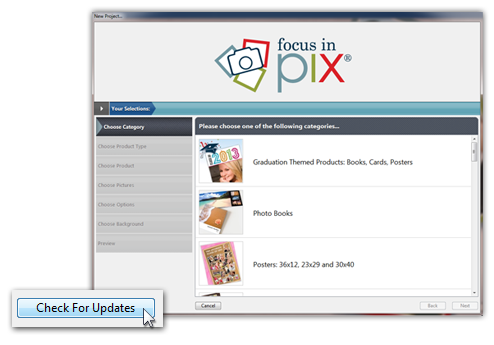 When the Auto Update list pops up, click the check boxes next to the products and items you wish to add or update your software with. Please update your software with only 1 or 2 products at a time. Due to the combined size of all our projects along with varying internet connections, we do not recommend selecting all items at once. When doing so, the download time may be very long and you may receive a communication error. 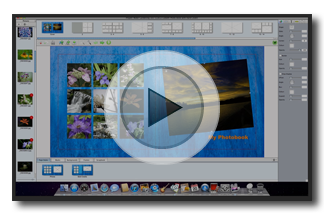 Our customers often tell us that Focus in Pix is so easy to use! Even so, because it is probably unlike your other applications, and because there are so many features, we recommend utilizing our guides and tutorials to learn how to use it. Don’t worry, they aren’t very long — and some of them will even guide you step-by-step while making your project. Below we’ve listed some of our most popular tutorials. To see a list of some of the most asked questions from our customers, check out our FAQ page. You can also call us Monday – Friday, 8 am – 2 pm CST at 952-891-8707 with questions.